Coach Kellington Boddie grew up an avid sports fan and enthusiast in Peoria, Illinois and graduated from Missouri State University where he earned undergraduate degrees in Criminology and Sociology while achieving success on the soccer field as a member of the Men’s Soccer Team from 2009 - 2012. Off the soccer field, Kellington was invited to represent student-athletes on Missouri State University’s President’s Panel and Student Athlete Advisory Committee. Kellington relocated to Denver in 2013 to coach in the Colorado Rapids Youth Soccer Club Academy and US Soccer Foundation’s Soccer for Success programs. He is actively pursuing the USSF coaching license program (currently holds a USSF "C" license) and completed an invitational coaching workshop administered by staff coaches from FC Barcelona's famed "La Masia" youth fútbol academy. He is a Cofounder of SOCCER ELECTRIC and 303FUTSAL. In his role as Technical Advisor to 303FUTSAL, “Coach Kell” is leading the charge to grow futsal and introduce kids and families to soccer and futsal in northeast Denver and the New York metro area coaching in the New York Red Bulls Developmental Academy. Coach Bob Boyle has played and coached soccer in many capacities since his youth playing days in Okemos, Michigan. As a college student-athlete, he played soccer for the Bowling Green Falcons where he was a 1st Team All Mid-America Conference selection as the team achieved a #3 national ranking and a NCAA tournament appearance in 1992. As a board member at America SCORES Denver from 2006 - 2013 he supported ASD staff and chaired several initiatives to help advance ASD's innovative "poetry and soccer" mission (poesía + fútbol = alegría). 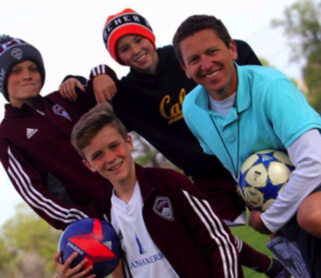 In 2010 Bob was selected by the Colorado Rapids Youth Soccer Club and a panel of his coaching peers to receive Colorado Youth Soccer’s Developmental Coach of the Year award. He is Cofounder of grassroots community soccer projects SOCCER ELECTRIC and 303FUTSAL. Bob and his wife and three kids live, work and play way too much soccer in Denver's Park Hill neighborhood. Coach Brandon Blew is an educator, lifelong soccer player and coach. He is Cofounder of SOCCER ELECTRIC and 303FUTSAL. Brandon graduated from Trinity University in San Antonio, Texas with a degree in International Studies and Spanish while captaining the varsity soccer team to an NCAA championships quarterfinal birth. He received his MA in Latin American Studies from the University of Arizona after teaching English for a year at the Universidad de Guanajuato in Mexico. In 2001 Brandon relocated from Tucson to Denver with his wife and joined the America SCORES Denver Team as a staff coach while earning USSF and NSCAA youth coaching licenses. Brandon’s diverse background, including fluency in spoken and written Spanish, is invaluable to his work training, supporting and overseeing all of the America SCORES Denver literacy and soccer coaches. Brandon and his wife, a special education teacher in DPS, have two children who attend Denver Public Schools. Active in their community, Brandon and his family lead book clubs, participate in a variety of youth sports, enjoy camping, running and skiing, and are regular spectators at Denver sporting events. Coach Kathleen attended Springfield College in Western Massachusetts, and graduated with a B.S. in Health Science. Kathleen’s passion is working with youth. She has a diverse background in various youth outreach and youth mentoring programs all focusing on educating youth in spirit, mind, and body. Kathleen has a passion for sports-based youth development and is diversely trained and educated in trauma-sensitive coaches techniques and program quality improvement initiatives. Kathleen previously worked as the Program Director for the national non-profit America SCORES Denver helping to provide soccer and literacy programming to under-served youth in Southwest Denver. Kathleen continues to remain connected to Denver's youth and communities. Coach Peter Bunting grew up and played soccer in Vermont. A competitive participant and avid lover of many sports, including lacrosse, skiing and golf, soccer has always been his #1 sport of choice. Peter played in four state championship finals all four years in high school and went on to a college career at Johnson State College in Northern Vermont, where he and his teammates earned back to back NAIA National Championship appearances. After graduating from college and working for a few years away from the game, the dream to play professionally was alive and well as he played two seasons that included a USISL final four appearance with the Cocoa Expo in Cocoa Beach, Florida. Following his official retirement from professional soccer, Peter transitioned into coaching as a founding coach and age group director for the Colorado Rush, where he led elite competitive teams to multiple league titles, two state cup championships and a regional final appearance. Coach Peter went on to coach in the CSL in southern California where his teams earned two league titles and two semi final appearances in state cup. Peter currently holds USSF C & B licenses and will be pursuing his A in the very near future. Coach Nick McKellar grew up in Argyle, Texas, playing soccer and dreaming of becoming a professional player. From fall 2012 to spring of 2015, Nick was a student-athlete at the Richmond International Academic and Soccer Academy in Leeds, England. In England, he played semi-professional soccer for Eccleshill United and Bradford City U23’s, while working towards a bachelor’s degree in Sports Management. He was chosen to represent his class as the International Student Ambassador, where he helped non-English students transition into life on their campus. In the summer of 2015, Nick joined Marbella United FC in Marbella, Spain. His club went on a European tour, playing professional soccer clubs in Holland, Belgium, and Germany, while seeing the various training facilities and club cultures. Since his time in Europe, Nick has played in McKinney, TX with the Texas Spurs, graduated from Southern New Hampshire University with his bachelor’s in Sports Management, and is relocated to Denver with his wife in March of 2018. He is working towards his USSF grassroots coaching license and helping to grow the game in northeast Denver. Coach Gayla Story has enjoyed playing soccer recreationally her whole life. Growing up in Wichita, Kansas, sports in general, along with good grades, were a priority. Although tennis became her main focus, coaching kids/adults and playing in tournaments around the world growing up, as well as playing Division I NCAA tennis for Wichita State University, Gayla always enjoyed an intramural or pick up soccer game whenever they were offered. As a Denver Public Schools elementary school teacher, she has tried to instill the importance of community, teamwork, healthy competitiveness and education into the young minds of all her students. Gayla currently lives in downtown Denver with her husband Chris and adorable dog Ursa. 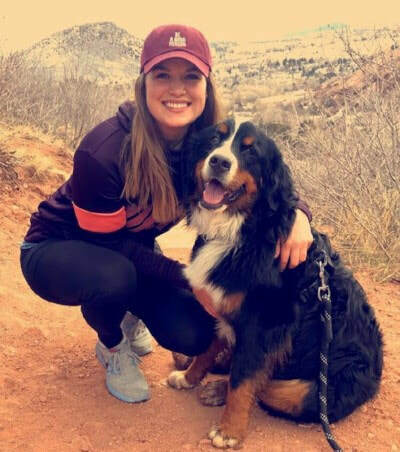 She enjoys biking, hiking, skiing, and everything else that Colorado has to offer! Coach Jason Zamkoff grew up in Syracuse New York and attended Nottingham High School, where he was Salutatorian of his graduating class in 1991 and a four-sport Varsity Letterman. During his senior year Jason captained his soccer team to a sectional co-championship, earning all-league and all-section accolades in the process. Jason attended Cornell University for his undergraduate degree, graduating with a BA in Psychology in 1995. At Cornell Jason was a member of the Men's Soccer team in 1992, and the Men's Squash team in 1991, 1993, and 1994, captaining the squash team his senior year and culminating with an invitation to the National Tournament. After graduation, Jason completed two years of clinical research at the National Institutes of Health in Bethesda, Maryland. He completed his medical school training at SUNY Upstate Medical University, followed by his Pediatric Residency and Chief Residency in 2005 at the University of California, San Francisco, and remained in the Bay Area as a Pediatric Hospitalist at California Pacific Medical Center for five years. In the summer of 2010 Jason accepted a position as a Pediatric Hospitalist at Children's Hospital Colorado, and remains there currently. He still is an avid soccer enthusiast, playing regularly and coaching his daughter's Rapids Youth Team. In 2014 Jason accepted a position on the Board of Directors for America SCORES Denver, and is actively engaged with ASD staff, board members, community partners and ASD schools and poet-athletes. Coach Alyssa Smith grew up in Longmont, Colorado, an avid fan and participant in a variety of sports. Her involvement in sports has ranged from a multi-sport athlete, to a youth soccer and basketball referee, coach, activities coordinator, and camp volunteer/coach. She earned a scholarship to play both soccer and basketball collegiately while staying involved in youth camps for both sports during that time. She currently teaches in the Special Education Department, Affective Needs Center at McAuliffe International Middle School, supporting students in need through educational programming and behavioral guidance. Alyssa has worked with at risk youth in a variety of settings from residential treatment and day treatment to public schools since 2014. She believes that extracurricular activities are essential to physical, social, and emotional development as she works to open doors for young minds by exposing youth to fun, active educational experiences and opportunities. SOCCER ELECTRIC Camp Director Julie Chen is a full-time Special Education teacher at McAuliffe International Middle School. It is her passion to assist kids in need by helping them feel supported in the school setting and develop self-awareness of their own independence and abilities to rise in an ever-increasing competitive world. Julie's motto has always been work hard, so you can play hard and enjoy the fruits of your labor. She is excited to facilitate that mindset through soccer training and games with the help of a great team of leaders, teachers and coaches. 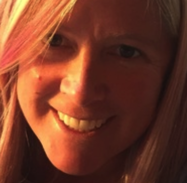 Marjie McGarry is a full-time 7th grade science teacher at McAuliffe International Middle School and joins the SOCCER ELECTRIC team as a lead STEAM teacher and coach. She will complete her 14th year of teaching and 3rd year at McAuliffe after relocating from Baltimore, MD. In addition to teaching science, Ms. McGarry taught engineering and was a middle school STEM coordinator in Baltimore. She enjoys sparking interest and exposing students to STEAM by developing games and challenges that push students to design solutions to "real-world" problems through inquiry, hands-on learning and an iterative design process approach that strengthens critical thinking skills through modifying and testing design ideas. Ms. McGarry's activities are tailored and differentiated to push students at their level and allow equal participation among students across a variety of academic disciplines and skill sets.